Dermisol Cream 100g is indicated for the use in cats, dogs, horses and cattle to aid healing. 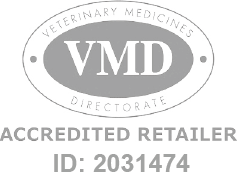 Dermisol Cream - 100g is a Prescription Only Veterinary Medicine and by law requires a prescription from your vet. Dermisol Cream is a white cream for topical application and may be used to encourage healing in horses, cattle, dogs and cats particularly when this process is impaired by the presence of necrotic tissue, coagulum, debris or wax. This may occur in cases of traumatic injury, surgical wounds, infected wounds and otitis externa.